A "Jersey Girl" at heart, Barbara Reed was raised in North Jersey and returned home after stays in Chicago, Vermont & New York. 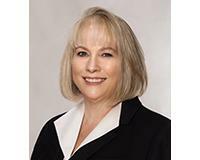 With 8 years of real estate experience, Barbara loves helping buyers and sellers. Committed to excellence and superior communication, “Barbara is doing real estate right!” It’s not just the years of experience that make a good Realtor, it’s whether they understand the market and are dedicated to their clients’ goals.